Yes, I know – I’m late. But I couldn’t miss it altogether – this is my excuse to have a good long and appreciative look at my garden. 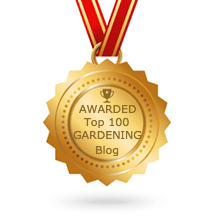 I don’t often get a chance to ignore the weeds and celebrate the good stuff, so though I may be a day late, I’m still going to join in with Carol at May Dreams Gardens and her Garden Bloggers’ Bloom Day. So there! Beautiful colors- they seem so much more vibrant in the fall light than in the summer. thank you :DI so agree with you Bonnie – I think that’s why so much at this time of year is red and orange and yellow… they just glow in that low autumn sunshine. Lovely slideshow – I do find them so restful to watch.I’ve found it surprising just how much colour’s still left in the garden and the light to photograph them all has just been fantastic.